From Aztec to Aboriginals, Inca to Inuit, every culture has its own answer to the fundamental questions of our existence. The Big Myth celebrates our rich, cultural diversity, telling the world’s oldest stories with the world’s newest learning tools. The Big Myth is an animated, educational storytelling app, showing 25 different stories of creation from around the world. For children aged 4-14. 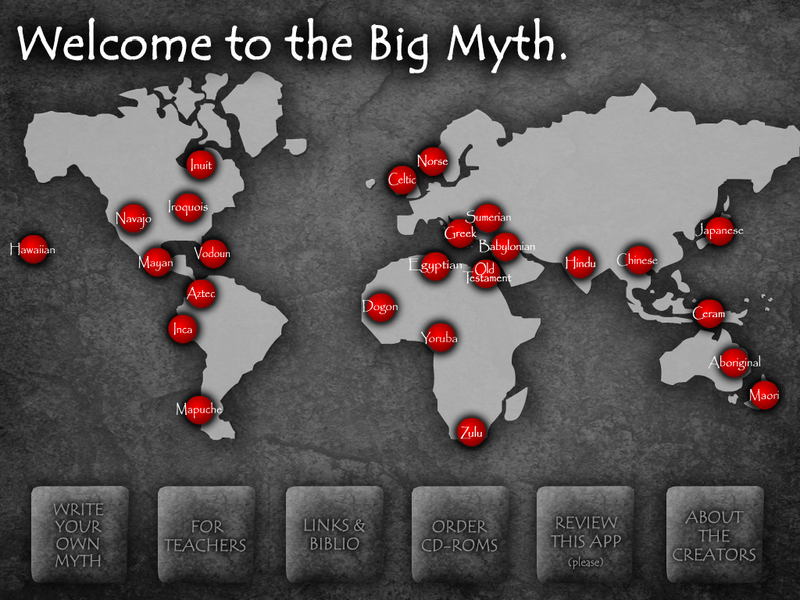 The Big Myth offers an entire integrated learning environment, including a teacher’s guide, “write your own creation myth” area, downloadable PDF materials, links and bibliography, making it a useful fit within the study of the classics or world cultural studies program of the common international curriculum, as well as within religious studies and ancient history. It can also be integrated into remedial English language classes given the text and simultaneous narration. This is an appropriate tool for special needs learners as well as visually or hearing impaired students. 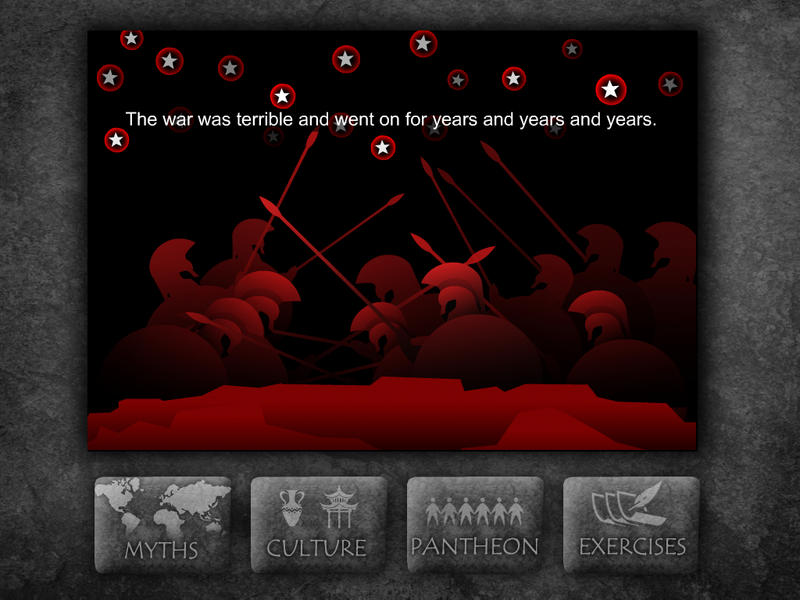 The Big Myth is also a learning website and CD-ROM for desktop use. The company has recently released a new project, "DinosaurDays": a learning CD-ROM about the rise and fall of the dinosaurs for age 7-11, designed especially for girls (www.dinosaurdays.com).